TEL AVIV - If they were to follow the ancient proverb, "the enemy of my enemy is my friend," one would think Israelis would be rooting for Iranian opposition candidate Mir Hussein Mousavi and the hundreds of thousands of Iranian protesters who have challenged the re-election of President Mahmoud Ahmadinejad. But even though Mr. Ahmadinejad has threatened the Jewish state with destruction, many officials and analysts here actually prefer the incumbent president because – short of the downfall of Iran's theocratic system of government – he'll be easier to isolate. Reformist leader Mr. Moussavi, by contrast, isn't expected to alter Iran's drive for nuclear power, but he would win international sympathy. "Just because Moussavi is called a moderate or a reformist doesn't mean he's a nice guy. After all he was approved by the Islamic leadership," says Ephraim Inbar, director of the Begin Sadat Center at Bar Ilan University. "If we have Ahmadinejad, we know where we stand. If we have Moussavi we have a serpent with a nice image." On Sunday, Israeli President Shimon Peres waded into the debate, encouraging Iranian protestors and "courageous" women who he said were trying to "reclaim" their culture. He added that it's more important to have regime change in Iran than an end to the country's controversial nuclear program. "You never know what will disappear in Iran first – their enriched uranium or their poor government," said Mr. Peres. "I hope their poor government will disappear first." It's Iran, rather than any one of Israel's Arab neighbors, which is considered the most serious strategic threat to the Jewish state. 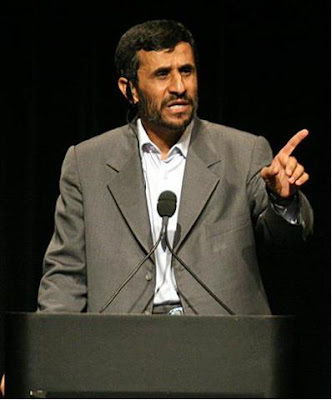 Ahmadinejad's verbal threats against Israel and his embrace of theories denying the World War II Holocaust of European Jews have prompted some Israeli officials to liken him to the leaders of Nazi Germany. Israel has argued that its nuclear program will destabilize not only the Middle East but the entire world. Israel also accuses Iran of using Hezbollah in Lebanon and Hamas in Gaza to fire short-range rockets across the border. 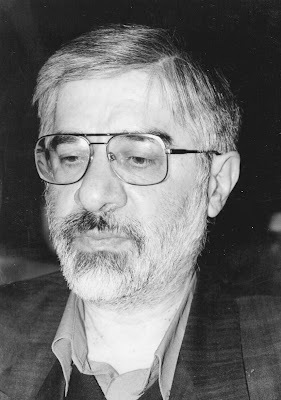 Though Mousavi criticized Ahmadinejad during the election campaign for hurting Iran's image by sounding off on the Holocaust, Israeli analysts claim that it was he who started Iran's nuclear program as prime minister in the 1980s. "Moussavi and Ahmadinejad are from the same school, and we have already seen Moussavi as an enemy of Israel supporting terrorist groups," said Menashe Amir, an Iranian-born Israeli who hosts Israel Radio's daily Persian language news show. "Moussavi declared during the television debates that he will not change the nuclear policy and that he won't stop Iranian support to the Palestinians." Last week Mossad Chief Meir Dagan, Israel's top spy, said he expected the unrest in Iran to drop off in a matter of days rather than escalate into a full-fledged revolt. He also estimated that the Iranians would not obtain a nuclear weapon before 2014. "If the reformist candidate Mousavi had won, Israel would have had a more serious problem, because it would need to explain to the world the danger of the Iranian threat," he told a panel of Israeli lawmakers last week. To be sure, some Israeli analysts dispute the conclusion of the Mossad chief that the incumbent president is preferable. "This view is very inaccurate," says Meir Javedanfar, an Iranian-Israeli who co-authored a book on Ahmadinejad, The Nuclear Sphinx of Tehran. Mr. Javedanfar acknowledged that in the short term, the incumbent candidate may serve the interests of Israeli public relations. But in the longer term, Moussavi and his allies could lobby for a less confrontational foreign policy, he says. "The reformists are for more human rights inside Iran, and for a reduction in tension with Iran and other countries in the region." Calling the affinity of Israeli officials for Ahmadinejad an example of the "narrow horizons of Israeli strategic thinking," Aluf Ben, a commentator for the Ha'aretz newspaper, noted that Iran has continued unchecked despite the controversial remarks of its incumbent president. "The demonstrations offer a chance of change in Iran for the first time in 30 years," he wrote. "It would be best for Israel if there were people in the Iranian leadership who could calm things down in the region, not stir up strife."